I received this book free from the author after they had found my blog online. I was sent a digital copy of this book for review. 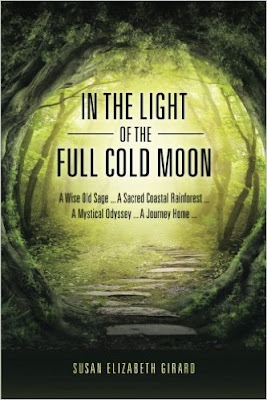 Synopsis: Savannah begins her sacred walk with Ratiffa (Ra-teef-a) "a wise old sage" who lives in the woods at a magical homestead in the temperate forest. Through meditation, visualisation and "soul flying" she discovers an alternative, parallel world that is beyond anything she could have ever dreamed and finds the peace, love, harmony, joy and purpose she has been so desperately seeking all of her life. Journey along with her on this awakening, mystical odyssey to the "enchanted forest" and meet the most amazing, phenomenal and celestial characters along the way. Some you will know, some you haven't met yet. In doing so, you may be in for a surprise or two and you might just discover yourself along this illuminative path to enlightenment. Hold onto your hats, it's going to be an extraordinary, evolutionary, exhilarating and eye opening experience. Review: This was an interesting read that kept me hooked from start to finish. For this I would like to thank the author for the chance to read such an amazing book. I would recommend this book to any reader who enjoys and has an interest in the supernatural and the occult. This book also includes notes of religion and spirituality throughout the story. This is a book with a very intriguing story line. I enjoyed this book so much that I plan to invest in a paperback copy to claim a permanent place in my ever growing book collection.